Sign up and receive Property Email Alerts of Houses for sale in Monte Christo, Hartenbos. 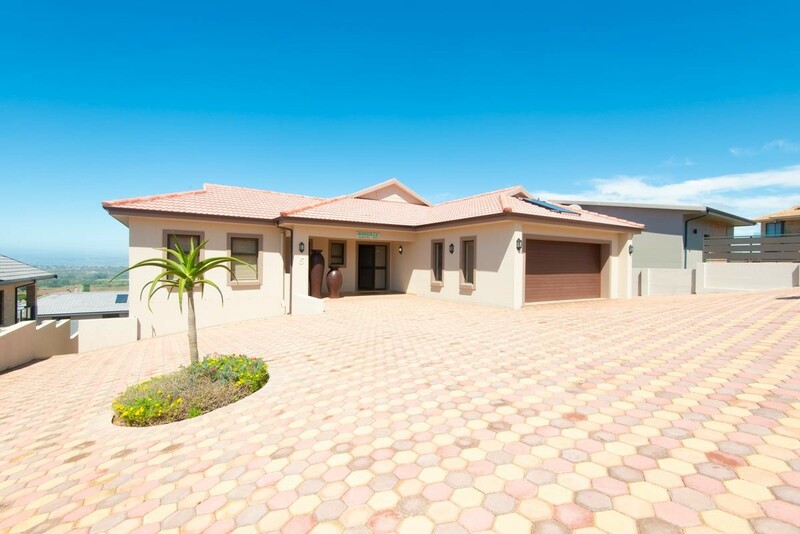 This double storey gem ticks all the boxes and offers 5 bedrooms and 4.5 bathrooms, with 3 bathrooms being en-suite. The house is less than two years old and only the best finishings made the cut when this marvel was built. The large open plan kitchen with separate scullery flows seamlessly into an even bigger open plan living area which is fitted with a built in braai. From the living area through sliding doors you have access to a huge deck from where these great views can be enjoyed. The fifth bedroom has a separate entrance with a bathroom and could easily be used a bachelor/granny flat. All the bedrooms are gigantic in size and this home would be perfect for a larger family that will not compromise on comfortable living. Monte Christo Eco Estate is a security estate close to Hartenbos. The estate has a 24 hour a day manned guardhouse and with relatively low levies it offers peace of mind living. Most of the estate offers beautiful views of the sea, mountains and Hartenbos. With a game farm bordering on the one side and a short commute from great holiday destinations the estate makes for great luxurious living. The estate also has quick access to the N2 from where George airport is a short 25 minut drive. Contact us now to arrange a viewing of this masterpiece. Sign-up and receive Property Email Alerts of Houses for sale in Monte Christo, Hartenbos.